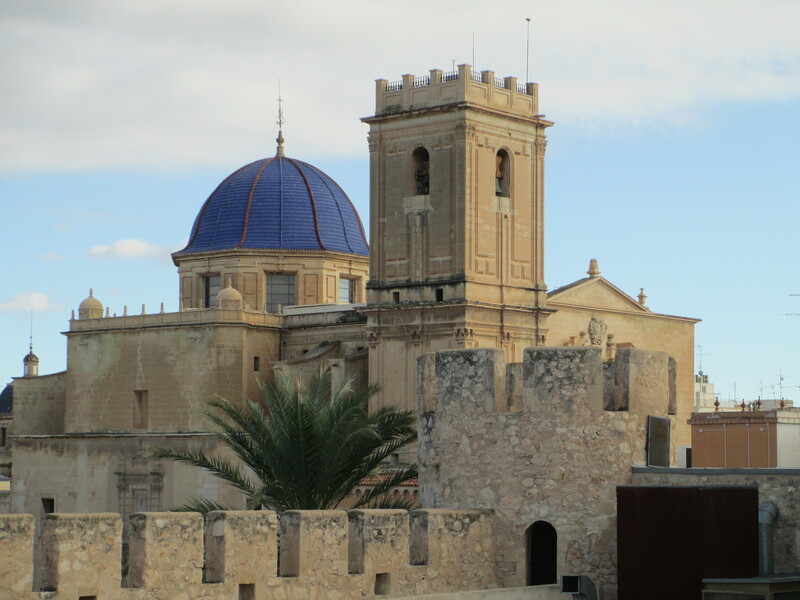 Located in the southern area of the Valencian Community, just south of Alicante, Elche makes a great one or two day trip. It is the third largest city in the Valencian Community, with Valencia and Alicante being more populated. 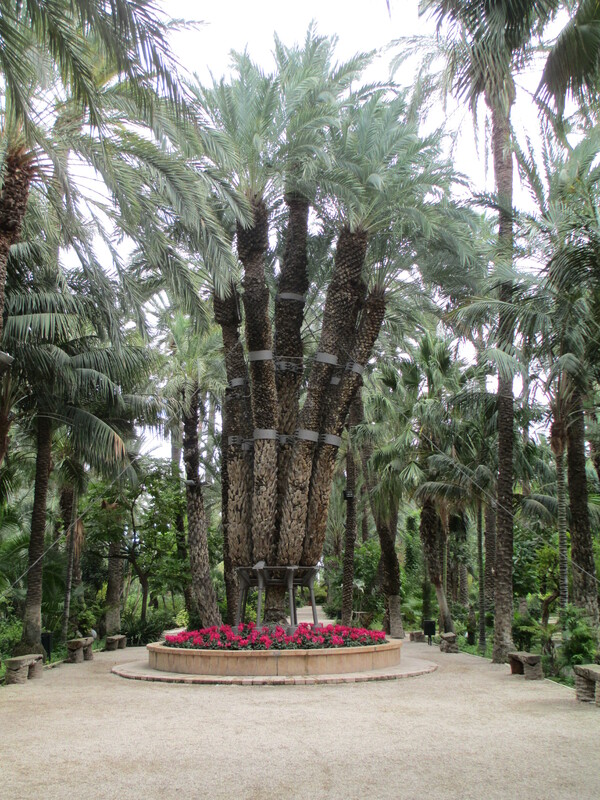 The Palmeral de Elche (the Palm Grove of Elche), which consists of approximately 200,000 palm trees, was designated as a UNESCO World Heritage Site in 2000, and is one of the main draw for tourists. The area is believed to have been settled by Greeks, then Carthaginians and Romans, followed by others including several centuries of Moorish rule. The city offers a mix of nature, history, an engaging city centre, and the option of lovely beaches and great shopping, with over 1000 shoe factories! I recommend starting at the Museo Arqueológico y de Historia de Elche (MAHE), located in the Altamira Castle, built during the 12th to 13th century. The museum provides visual, written, and verbal information on the history of the area in displays which provide a summary of each of the periods of occupation. The most famous archaeological find was the statue “The Lady of Elche,” believed to be from the Iberians in the 4th century. A copy is on display, with the original being in the National Archaeological Museum of Spain in Madrid, which is a source of contention for the people of Elche who believe it should be returned to Elche. During my tour of the museum, I found the succinct overviews of each era to afford adequate information without museum fatigue. The MAHE facility is modern and mostly accessible, with the exception of the very top of the castle. Take those remaining stairs to reach the top of the castle for a panoramic view of the city and the adjacent Palmeral. As soon as you exit the MAHE, you will find part of the Palmeral, and the municipal park. The Palmeral is thought to be established during the 5th century by the Carthaginians. Sophisticated irrigation systems were added during the Arab occupation during the 10th century. It is the only such palm grove in Europe, and the northernmost such palm garden. In this part of the Palmeral, there are paths where one can observe the varying vegetation, ponds, swans, historic buildings, a restaurant, exercise stations, playgrounds, and more. The Palmeral is not only confined to this area, but is spread around the city. There are maps available at the Tourist Office or hotels, which provide suggested paths to view the palms. Across the street from the MAHE and Palmeral is the city centre where there are a number of visit-worthy historical sites. The Basilica of Santa Maria has layers of history, with a beautiful Valenciana Baroque façade. Originally a Mosque, after the Reconquista, a Catholic Church, probably Gothic style, was built. It was here that the liturgical drama, Misteri, Elche Mystery Play, was first presented. In 2001, it was declared a UNESCO “Masterpieces of the Oral and Intangible Heritage of Humanity,” and is performed every August in conjunction with the Assumption of Saint Mary. Later the church was rebuilt with different styles over the centuries, eventually with the current emblematic regional blue tile domes. Nearby the Calahorra Tower, built in the 13th century in the Amohade style, was the most important entry gate to Elche, with the road leading to Alicante. Note the shape at the base of the Calahorra is wider to provide structural stability. However, this did not prevent severe earthquake damage in 1829, which resulted in the loss of the two upper floors. On the surviving back wall, there is a colorful vertical garden, flanked by a gastro-restaurant, which is an inviting place for a meal or refreshing drink. The Huerto de la Cura is a 12,000 square meter garden displaying Mediterranean and tropical plants. It is famous for its Imperial Palm, which features a unique date palm with seven branches. It got its name from a visit by the Empress Elisabeth of Austria, Sissi, in 1894. The park’s inviting paths, plants, and ponds provide an enchanting and tranquil respite. There is a souvenir area where you can buy plants and regional food and craft items.